In our quest to find the most enticing roads less travelled, we invite you to join us on a hiking and cultural trip to Bosnia and Herzegovina, widely known simply as Bosnia, which most people remember from the news in the early nineties when an ethnic war broke out between the nations who had shared this amazing piece of land for centuries. Our aim is to bring Bosnia closer to those of you who love pristine mountains and are curious about the Balkans. Our aim is to bring Bosnia and Herzegovina closer to those of you who love pristine mountains and are curious about the Balkans. We will take you to places where few tourists stop, while also visiting the cities of Mostar and Sarajevo, which have attracted large numbers of international visitors in the last decade. Our first stop is the town of Trebinje (pronounced Trebinye). Hidden behind a mountain, Trebinye was first mentioned in the 10th century. With a Mediterranean climate, the town has a mixture of Austrian and Ottoman architecture. During this trip we will see some very different settlements. Pochitelj (pronounced Pochitely), although small, is one of the most unique towns in Bosnia. This little Ottoman settlement is first mentioned in 1444, soon after which it was taken over by the Ottomans in 1471. The Ottomans stayed there for 417 years and left a deep impression. Aside from the amazing 15th, 16th and 17th century Ottoman architecture, they passed on the art of serving coffee. We will stop here for refreshments and to meet one of the local residents, a lady who makes her own juices and of course serves great Bosnian coffee. During our stay at Lake Borachko, we will be hosted by a couple, a Bosnian Serb and a Bosnian Muslim who emigrated to the Netherlands in the nineties but have now come back following their passion to show the true Bosnia to the world. Their cottages are based in a stunning, historic corner of Bosnia, and they organise film nights showing interesting documentaries and feature films about the Balkans. We will be seeing one of these films after a visit to the town of Konjic, near which an atomic shelter was discovered in 2005. Started in the 1950s, it was finally completed in 1974 to serve as a shelter for the then President of Yugoslavia, Tito, together with his entourage. It was built to withstand a nuclear attack four times the strength of the Hiroshima bomb. 300 people could survive in the shelter for a period of 6 months. In the end, Tito never visited the shelter. Today it is an art gallery, featuring international works on the subject of war and specifically the Cold War and our obsession with nuclear weapons. We will also be visiting Mostar, a town which was severely damaged by the war in the early nineties. It has since been reconstructed and is under UNESCO world heritage protection. We will meet our local guide Nedim, a resident of Mostar who as a child escaped from the war, but returned from the Netherlands as an adult to build his life in his home town. The story of Mostar is one of mixed faiths and cultures and of destruction and rebuilding. I am happy to report that since our first visit in 2012 the town has been getting continuously rebuilt, although sadly the signs of destruction caused by the latest war, which hit Mostar badly, are still visible. Mostar, which is the capital of the Herzegovina region, paid a very high price for its strategic position in the Bosnian war, which took place from 1992 to 1995. Those who believed in the “clash of civilizations” saw the river Neretva as a “natural border” between the East and West of the country. As a result, all the bridges of Mostar were destroyed, including the Old Bridge – which proudly stands reconstructed today. We will of course be visiting the Bosnian capital, Sarajevo. 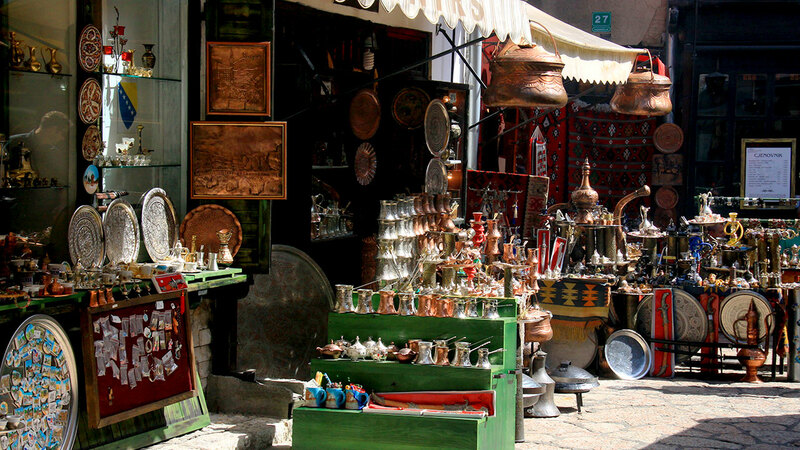 The guides in Sarajevo are very passionate when telling the story of their city, which has a very dramatic history not just from the recent past but also from centuries ago. It is widely known as the place where World War I started, with the assassination of the Austrian Archduke Franz Ferdinand. We will stand on the bridge where this historic event happened and soak up the atmosphere of Sarajevo on a summer afternoon. 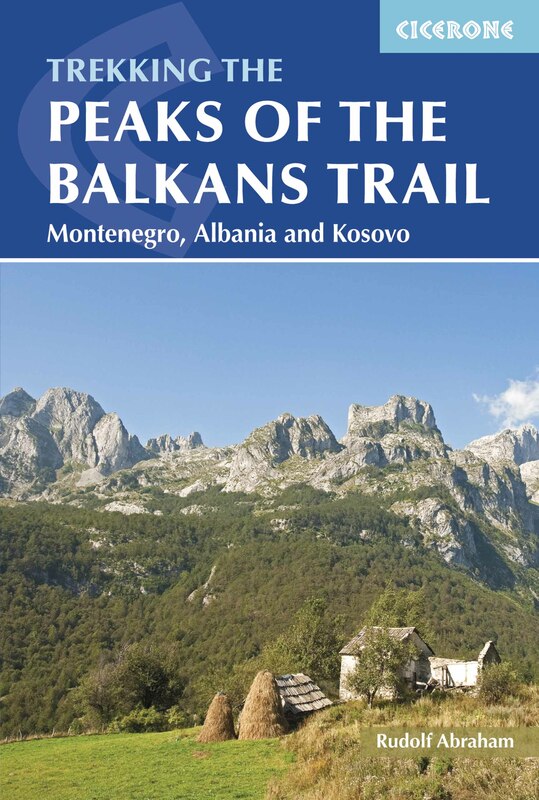 Visiting all of these locations combined with hikes in beautiful mountains and encounters with the hospitality of the local people are set to make this a unique Balkan experience. 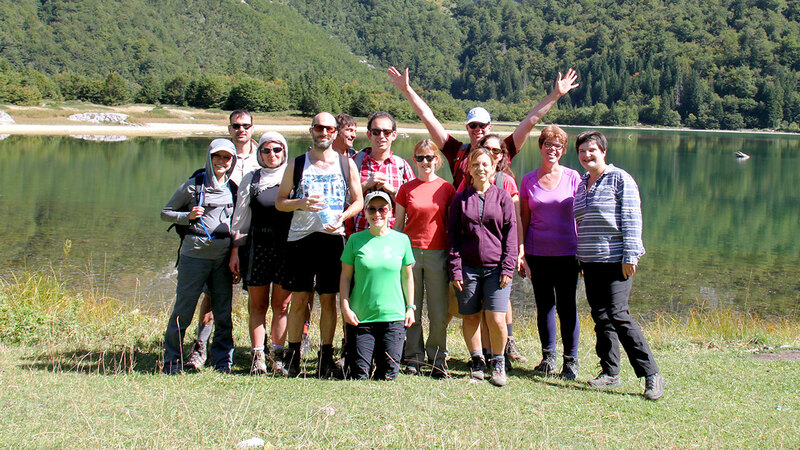 June is an ideal time for hiking at higher altitudes in Bosnia. The temperature in the towns is in the high 20s centigrade and tends to be in the mid-teens in the mountains, which is very pleasant for hiking and experiencing the country’s pristine nature, flora and fauna. Day 1: Arrival in Dubrovnik at 10:05 am. We have an hour and a half-long transfer to Trebinje, where we will stay overnight at the Hotel Leotar. After dropping off our luggage, we will head to the village of Zagora, where we have arranged a lunch with a local family. In the afternoon we have a half-day hike. Zagora – Turice village – ridges above Popovo polje – Zakovo Distance: 11km (7mi); total ascent: 500m (1640ft); total descent: 800m (2624ft); effective walk: 4.5 hours. Trebinje is full of delightful cafes and restaurants, where we can go for dinner in the evening and discuss the details of our forthcoming trip. Day 2: Leave Trebinje at 10am for a day of cultural sightseeing on the way to Mostar. We head towards Radimlja (an ancient Cathar/Bogumili graveyard) and Pochitelj, where we will stop for coffee. We will have lunch at Buna, with a visit to a Dervish House. We arrive in Mostar in the afternoon, and we will take a look round the old town. We are staying in the Hotel Almira, and will be going out in the evening with a local city guide. Day 3: Leave Mostar at 8am after breakfast. Transfer to Vitlenica, hike via Hajduchka Gate to the Vilinac mountain hut; 650m (2132ft) ascent and 250m (820ft) descent, 12km (7.5mi) and 4.5 hours effective waking. We will need to take sleeping bags, as we will be eating and sleeping at the mountain hut at 1,900m (6,233ft). Day 4: Breakfast at the mountain hut. 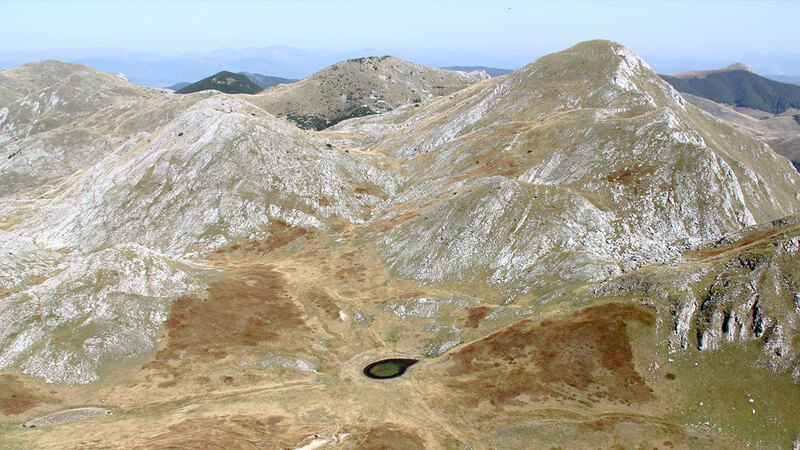 We will head for the peaks of Veliki Vilinac (2,118m / 6,948ft) and Mali Vilinac (1,996m / 6,548ft). 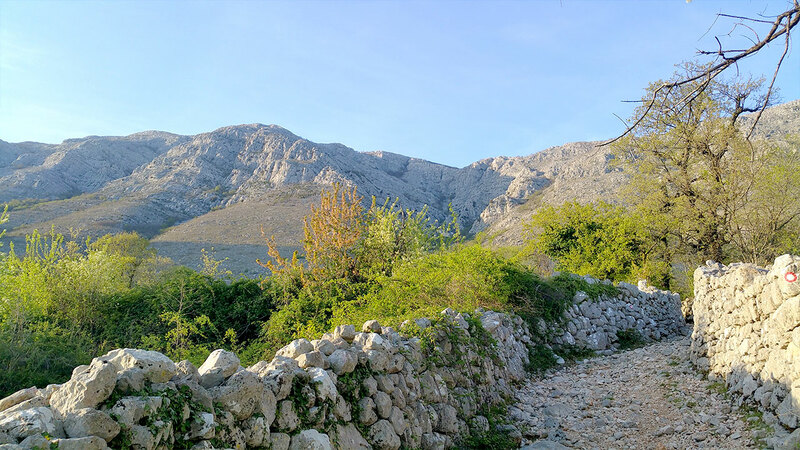 Our descent finishes via the ski slopes of Blidinje Nature Park, with 350m (1,148ft) of ascent, 950m (3,116ft) of descent and 8km (5mi) or 4 hours of effective walking. 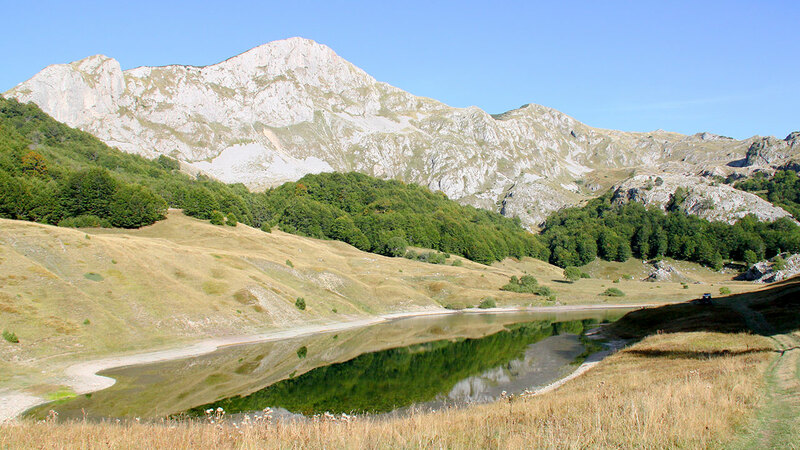 We then take a transfer to Borachko Lake along the Neretva river canyon. We will have dinner with our hosts at Borachko Lake and will watch a film about Bosnia. Day 5: Transfer to Konjic, where we will visit Tito’s atomic shelter, built in the 1970s at the height of the cold war. We then proceed to Sarajevo, where we have a city tour and lunch. Transfer to Tjentishte in Sutjeska national park. Dinner/overnight at the Hotel Mladost. Day 6: We have a hour and a half drive in along a track before commencing our hike at Zelengora, reaching the summit of Bregoch at 2,014m (6,607ft). After enjoying a swim in the Orlovachko Lake, we will hike back to our vehicle(s) and drive back to Tjentiste. Dinner/overnight in the Hotel Mladost. Effective walk 6h, ascent 800m (2,624ft), descent 800m (2,624ft), distance 16km (10mi). Day 7: We start with a one-hour drive to Prijevor pass on Maglic mountain. We will hike around the Trnovachko Lake and then head back to Prijevor. 4.5 hours hike, 550m (1,804ft) ascent/descent, 11km (7mi). We then have 4 hours’ drive into Montenegro, arriving at the Izlazak eco-village, positioned at the edge of Komarnica canyon, where we will have our evening meal and spend the night. Day 8: Early morning drive to Podgorica airport. Fly from Podgorica to London Stansted at 11:10, arriving at 13:05. • lunches and dinners in restaurants. Packed lunches are included in the price. You can book this trip by clicking the BOOK NOW button on our website or by sending us an email. Please book the recommended flights after you receive our confirmation of availability. We provide transport from and to the airports for the recommended flights only.